A Community Supported Agriculture (CSA) program is where a consumer buys a ‘share’ or membership/subscription of locally grown, seasonal produce directly from a farmer. Each consumer will typically get a box of vegetables or whatever products are included in their share, every week throughout the season. 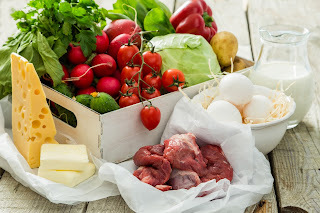 Some farmers include eggs, meat, freshly baked breads, flowers or herbs in their boxes or offered as add-ons depending on the farm. Many farmers appreciate this program so they can spend time marketing their food earlier in the year, before their long days in the field begin. Farmers also receive payment early in the season to assist with the farm’s cash flow, they have enough money to buy seeds, supplies, and plan for expenses at the beginning of the season; they waste less money and crop by having the ability to plan out their resources more efficiently. They have the opportunity to grow more of a variety of produce, including heirloom varieties that you wouldn’t find in the average grocery store. Farmers will have more of an ability to market the produce they plan to grow in the future instead of trying to sell already-grown products. There is also the opportunity for farmers to get to know their customers and those who are eating the food they are producing. 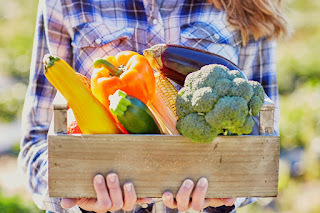 Some farms have introduced a ‘mix and match’ style CSA where the customer can customize what goes in their boxes instead of having one standard vegetable box for each member. Knowing where food comes from is becoming increasingly important to families. Through a CSA, the consumer gets fresh food with great flavor and nutritional benefits. By buying from one farmer through the season, you’ll develop a relationship with the people growing your food. Exposure to new, seasonal vegetables will help you branch out and learn new recipes and ways of cooking. Kids typically favor food from ‘their’ farm when they know where it was grown. CSA’s also eliminate the middle-man in packaging and transportation. The profits are going to the growers for them to grow their businesses. Locavores are people who eat only locally-grown produce, meat, eggs and other food products. Studies show that consuming locally-sourced food has positive health benefits. These foods may also have a higher nutritional value due to eating them closer to their time of harvest. Locally-sourced food is also less likely to be full of preservatives. Support small farmers and your local community by joining the movement. Click the links below to find CSA in your area.